One thing I love is getting lost, link after link, in the subject of jewelry. Yesterday I started by getting updated on the blogs @ JCK magazine, where I particularly enjoy the Style 360 section, by Jennifer Heebner. I wanted to research for leafs in particular, for my previous post (read here if you wish). As usually, after a little while I had already discovered something new: Anna Ruth Henriques. It is nature at its best. The website welcomes you with a fresh stream of water running along the green of trees and brown of the wooden bridge. You feel good instantly! New shapes, deceptively simple when you look at first but so inspired and full of personality. Approachable. You feel like choosing your own favorite and wearing it right away. “That elegant creature represents self-sufficiency, independence and creativity” (…) “I liken them to my women friends”. Well, I have always been a bit scared of spiders. 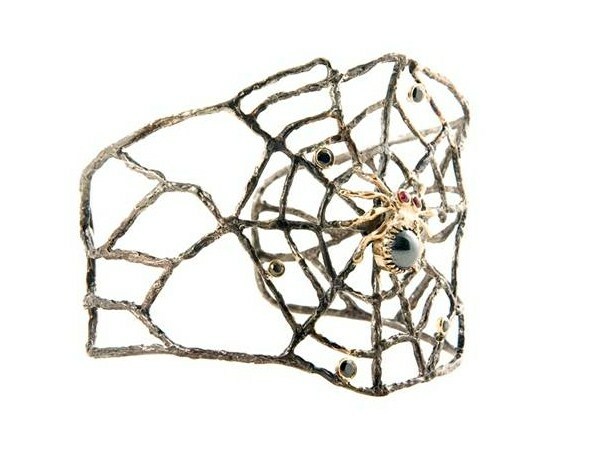 But you know what: these spiders have such a tender nature that I want to welcome one to my own jewelry box. I am hooked. My heart is divided: should I have the cuff? But then, you also have the LEAF. And here Anna Ruth takes a sculptural approach and creates an organic shape that combines, again, the right amount of creativity, precious materials and nature, resulting in very attractive jewels. So I’m thinking about celebrating Autumn wearing these irresistible LEAF shaped jewels. 1. 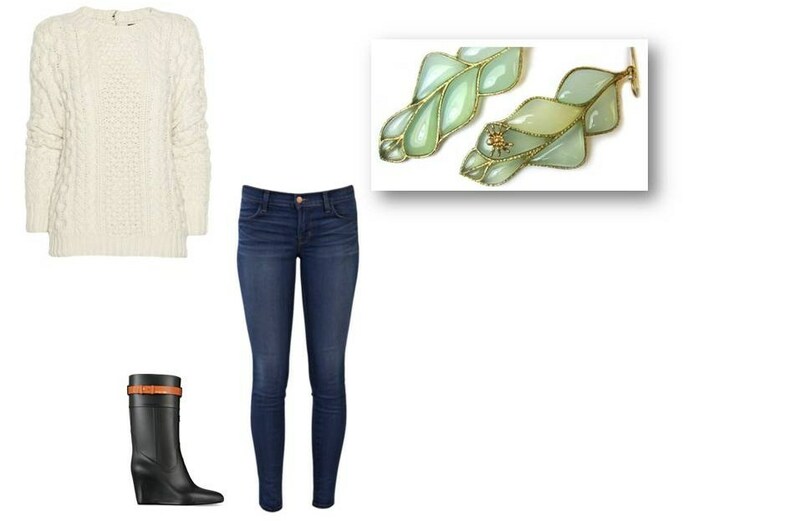 Maybe I’ll combine the green leaf with spider earrings with a chunky cable knit sweater and jeans. 2. I can warm up this season’s trendy burgundy looks with the leaf pendant, complete with the cute spider in the back. 3. Or maybe just bring my greyish work looks to life with this necklace that combines the many themes in Anna Ruth Henriques’ creations. And YOU, how do you plan on updating your jewelry box this season? a) Jewelry photos were taken from www.annaruthhenriques.com, with the designer’s kind authorization. b) All clothes and accessories’ photos can be found at www.polyvore.com and www.matchesfashion.com. 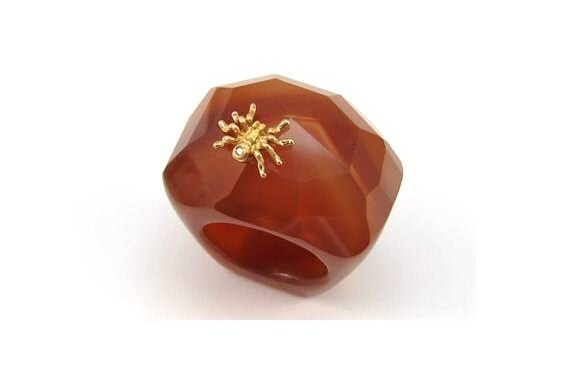 This entry was posted in Designers, Jewelry, Jewelry Trends, Personal style and tagged Anna Ruth Henriques, fall trends, Jewellery, Jewelry, Leaf, Silvia Taveira, Spider, Style, Style 360. Bookmark the permalink.